Our tours aren't like 'normal' tours. We live here, in the Dordogne, South West France, and love this region and we share with you our passion for the local food and wine. Customised for small groups, our tours visit family run vineyards and local truffle farmers. 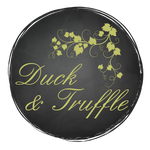 Tours are led by Max, Duck & Truffle's multi-lingual sommelier, who is a long standing local resident with a wealth of knowledge and passion for local gastronomy. "Wonderful trip and friendly, warm and knowledgeable guides took us for a gastronomic adventure"
"Max is a fantastic guide, loads of experience [from] all over the world. We had such an relaxing day"
"This is a MUST for anyone visiting the area who enjoys lovely wine, beautiful scenery and delicious food!"